I've been looking for the right leopard coat now for a while. Something that's not too Bet Lynch, not fur and with plenty of black/grey rather than browns. And just last week I found it on eBay! So I thought I'd do a quick post for you in case you'd like one too as they're old stock from Topshop and likely to sell out soon. To me this is leopard perfection as it's got a touch of a classic leopard but with enough black to make it a bit more modern. I also love that the base colour is a light grey rather than a beige. I've a couple of jumpers that will look fantastic with it. Not to mention my Alpe boots which are the exact same shade of tan! There was so much love for this coat, it was worn to the launch of Belfast Fashion Week, which runs from 22-25 March...full details on the link. Some fab shows on the schedule - the St Anne's Cathedral ones are going to be amazing. 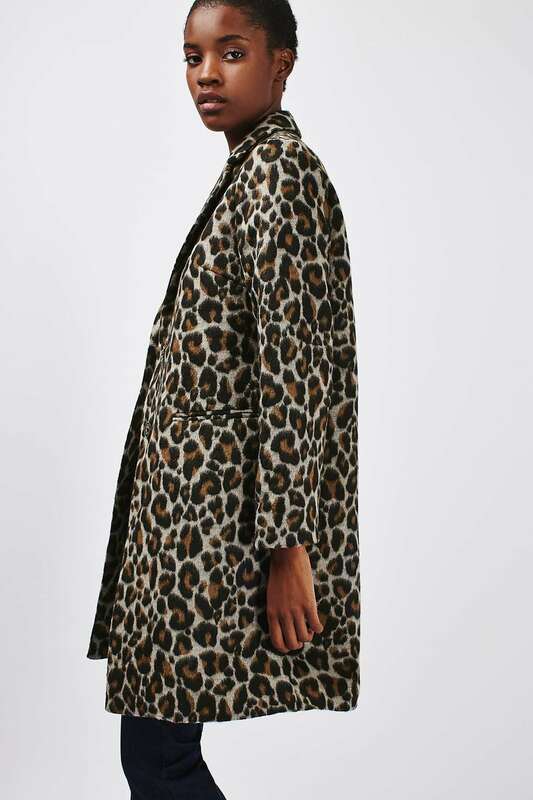 Coat - Topshop (via eBay - labels removed) - only £35!! But the best bit of the launch is that I met a gorgeous girl that I've never met in real life before - Rebekah from Lines & Current. Total babe and just the loveliest person. I've featured her stunning jewellery on the blog before. You can see the range on this link. Before I go, I better show you a couple of recent outfits starting with the first outing for my Christmas gift - an Alice Temperley Leather biker that my husband got me in Dejavu. In LOVE. Finishing with what I wore to this week's Showcase trade show in Dublin, where I was working my day job, representing Field Day and Field Apothecary Irish candles.